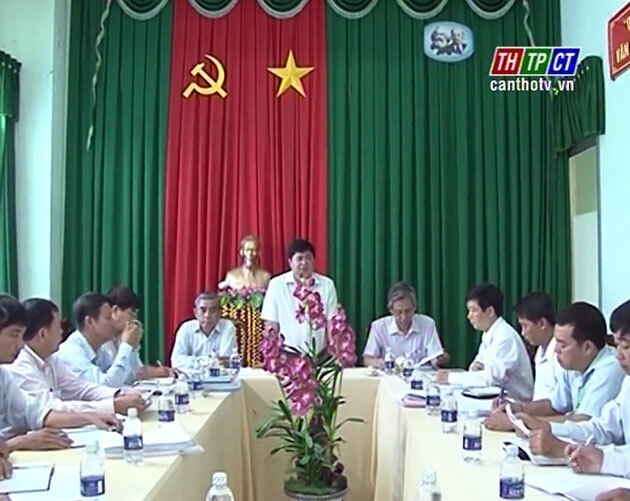 On July 13th Vĩnh Thạnh district People’s Committee held conference on basic construction chapter in 2016. Counting to the end of June, the district allocated more than VND 116 billion of basic construction capital to implement 184 works, of which, there were 22 transitory works and 15 new works with 58% of disbursing plan. 9 works including schools, cultural centers, information houses and traffic roads were put into use. The managing board of the project also suggested investment in 13 public security and military head offices and schools. At the conference, delegates acknowledge shortcomings causing low progress compared to commitment of executing units and investors. The managing board and functional sectors asked for measures from the district standing party committee and people’s committee to overcome shortcoming and speed up the progress.